This post on the Goa island appeared originally here. Gavi is a scenic place on the Western Ghats situated in Pathanamthitta District. This place has gained popularity with tourists from the state and also from others. The village Gavi is situated in Ranni Taluk. It is at a distance of around 284 kilometers from Vandiperiyar (idukki district). 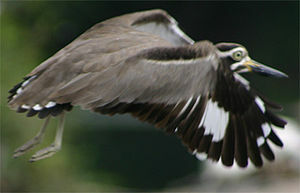 There are around 260 species of birds and is home to many a beasts of the jungle. Gavi is part of the Periyar Tiger Reseserve. Tourists can go to Gavi from Vandiperiyar or from Pathanamthitta by Car. Bus services are also available. There is an entry fee to be paid to explore the beauty of this forests, if you are not going by public transport. Two Gopher trees are a specialty of Gavi forest. It is believed that these are seen only here in India. It is believed that Biblical Noah’s ark was made with Gopher wood. The nearest railway stations is Chengannur Railway Station at around 115 kilometers distance. Kottayam Railway station is at around 128 kilometers distance from Gavi. Eranakulam Railway Station is at around 168 kilometers away. Nedumbassery Airport (Kochi airport) is the nearest airport at around 160 kilometers away. 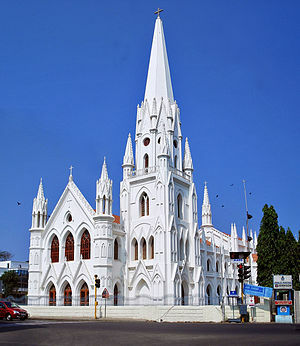 Thiruvananthapuram, the capital of the state of Kerala, is at around 180 kilometers distance. Madurai airport is at around 200 kilometers away. Rooms are available for those interested to stay overnight at Gavi. It is from Kerala Forest Development Corporation Ltd.
Vagamon is an non-polluted hill station in Kerala state, India, which is an ideal summer vacation destination. Vagamon is called the ‘Asia’s Scotland’ as it resembles Scotland. The hill station of Vagamon was discovered more than 2 centuries back by the then ruling British, who were impressed by the climate of Vagamon and found this area suitable for tea plantation. Vagamon is listed in the “50 most attractive places to visit in India” by National Geographic Traveler. Scenic valleys, pine forests, waterfalls, fog, mist and tea plantations make this one of the best hill stations in India. Many varieties of orchids and flowers are seen in plenty. The road is Vagamon is made by cutting hanging cliff (rocks) along the pine tree filled forests. The road from Erattupetta is an engineering wonder and was constructed in the 1950’s. Thangal hills, Murugan hills and Kurisumala hills representing Muslim, Hindi and Christian are found in Vagamon! This shows the religious harmony of the area. Vagamon is an ideal place for rock climbing, para-gliding, trekking, mountaineering,etc. Wagamon is part of the UNESCO heritage site of Western Ghats, which are rich in diverse flora and fauna. How do I go to Vagamon, Summer Destination? What about hotels? 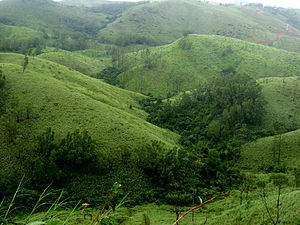 Vagamon is at a distance of 45 kilo meters from Kumaly (Thekkady) and is at 33 km distance from Pala in Kottayam district. Kottayam railway station is the nearest railway station at 65 km distance from Vagamon. Cochin International airport at Nedumbrassery is the nearest airport. There are many hotels/resorts in Vagamon serving the visiting tourists. Neatest tier II city is Cochin (Ernakulam), which is at around 100 kilo meters away. There are many hotels in Cochin. A new addition to budget hotels in Cochin is Greenest.